Crown Casino introduced a reward system for Australian pokies gamblers at their casino that has had mixed reviews. Anti-gambling advocates say that the added pokies feature gives gamblers access to ‘dangerous’ unrestricted options on pokies machine. It is argued that this ‘upgrade’ is a spit in the face of the countless preventative measures against problem-gambling in the region. A special request has been made to the Victorian Government to enforce legislation that will see Crown Casino operate pokies machines at the prescribed minimum spin rate. According to the Victorian legislation, every pokies machine must have a minimum spin rate of 2.14 seconds between each wager. Crown has a deal in place with the Victorian Government to reward its loyal customers with swipe cards that let them play pokies machines that have faster spin rates than the predetermined limit as well as make larger bets. As it stands, the agreement with the Victorian Government permits Crown Resorts to operate up to 1000 pokies machines that are not required to comply with regulations intended to curb problem gambling in Australia. Crown Resort has been having brushes with the law over pokies-machine-related incidents of late. 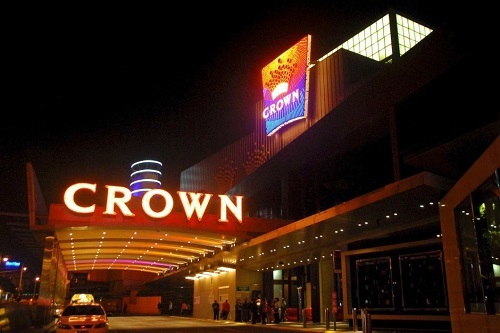 The latest was a video recording from an ex Crown employee that indicated that Crown was providing its patrons with tailor-made picks for pokies tampering purposes. In this latest chapter of Crown pokies controversy, Gaming Minister – Marlene Kairouz tried to deflect after pressure from anti-gambling groups amplified to remove the exemption afforded to Crown. Speaking to a news outlet, he said that pokie gamblers “should never be encouraged to spend above their limit…”. With Crowns history of treading on the wrong side of the law, it is interesting to see what is going to happen next. For more of the latest Australian gambling news, keep it locked to Pokies.com.